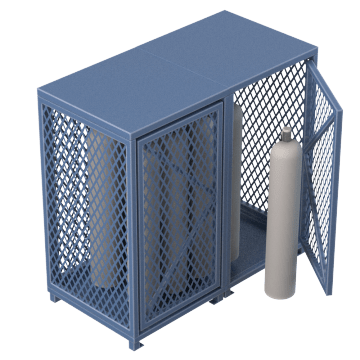 Prevent unauthorized access to compressed gas cylinders by storing them in these locking cabinets. Place the cabinets away from equipment and other hazards that can damage the cylinders and result in fire or explosion. 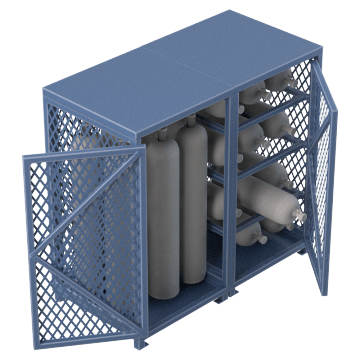 These units are suitable for storing propane and other LPG (liquid petroleum gas) cylinders that can be kept in a horizontal position. 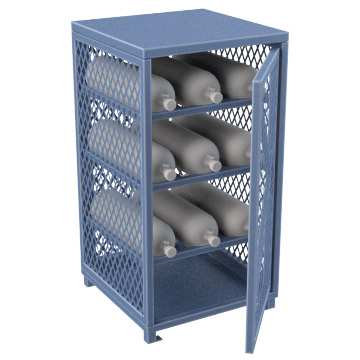 Use these units to store gas cylinders that must be kept in an upright position, such as welding gas cylinders. 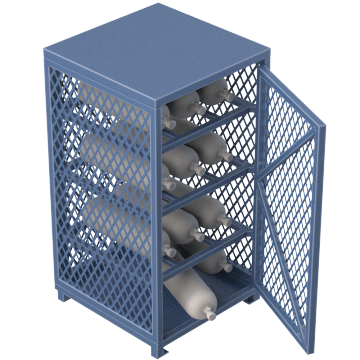 With room to store tanks vertically and horizontally, these units can accommodate most types of gas cylinders.